·Parking lots are operated 24 hours, with operating hours adjustable according to parking demand and traffic congestion, etc. *The schedule is subject to change and dependent upon traffic condition. 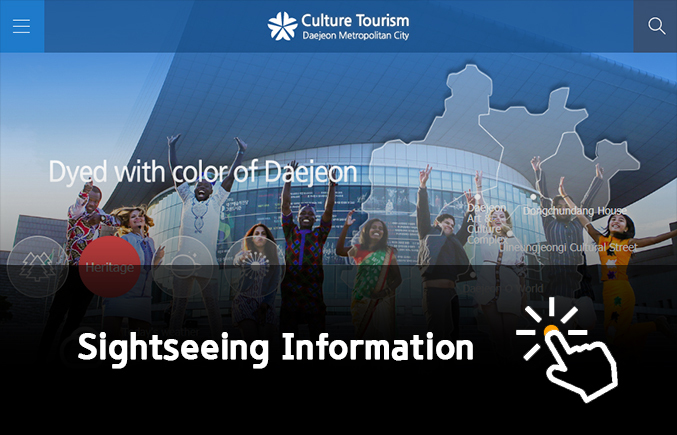 Near BEXCO, there are many famous attractions such as Haeundae Beach, Nurimaru APEC House, Diamond Bridge and the beautiful night view of Busan on top of Hwang-ryung mountain. Busan's unique attractions such as the UN Memorial Park and BIFF Cinema Center are also located near BEXCO along with Shinsaegae and Lotte department stores where visitors can enjoy site-seeing and shopping at the same time. 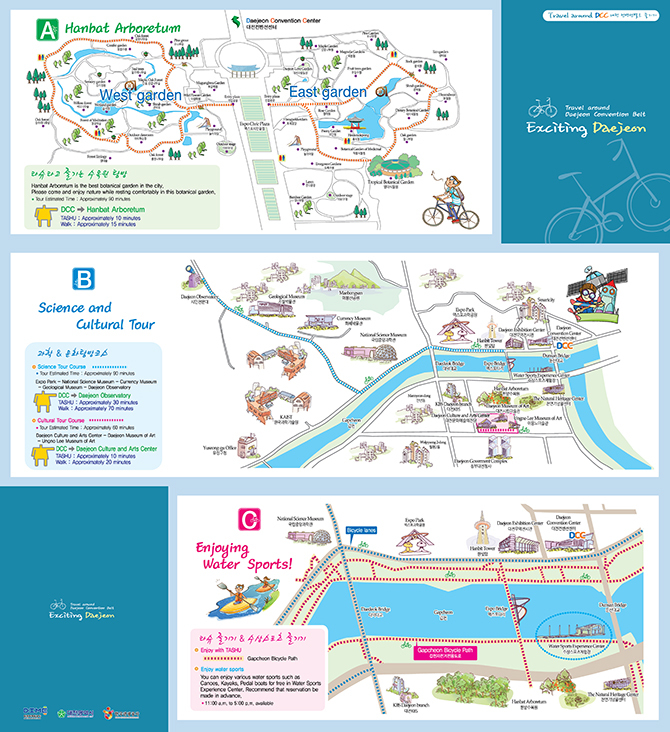 Visitors can ride on the city tour bus to comfortably look around the city's hot spots and heritage sites. 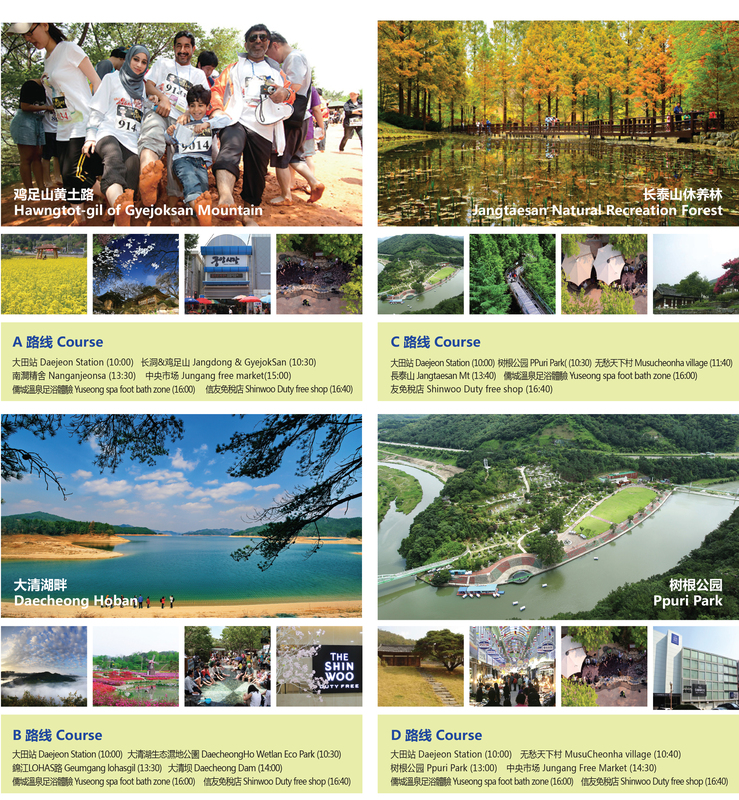 Visitors can also enjoy various thematic tour programs such as the modern history road tour, walking tour of Busan's famous theme roads and other experience tours. There are many tourist attractions in nearby regions of Busan including Gyeongju where visitors can explore the historical heritages of Silla Dynasty, Geoje Island which offers beautiful pebble stone beaches and a scenic view of over the famous Geoga Bridge, Gimhae which is popular for historical heritages from the Gaya Era and Ulsan which is the home of famous Ganjeolgot and whale museum. Gyeongju HICO is located in Gyeongju Bomun Tourist Complex. 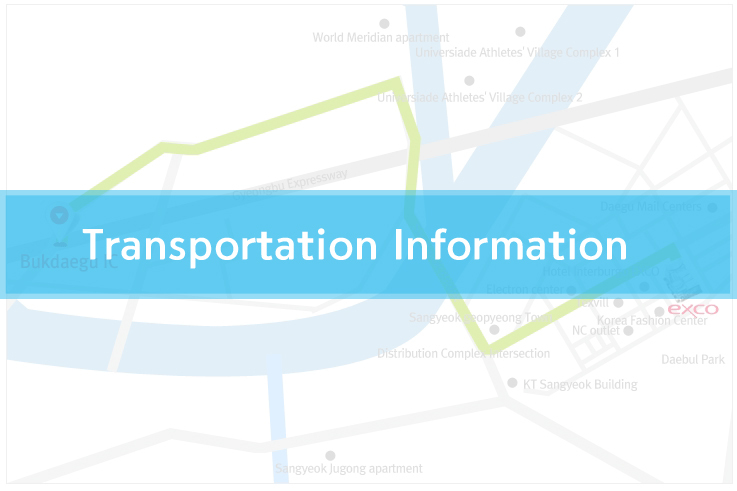 ※The city bus in operation is listed in order of the shortest distance. 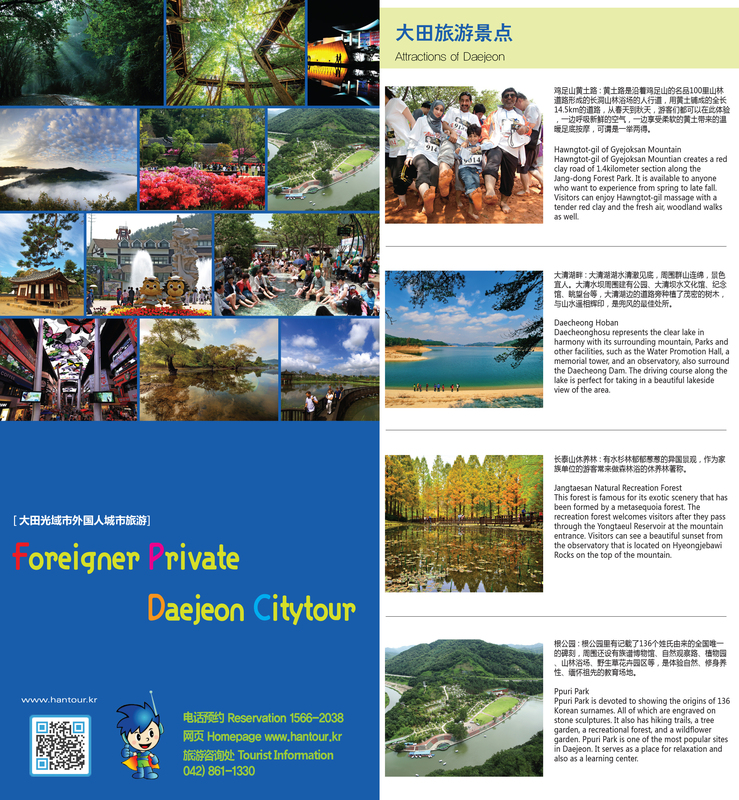 The city of Daejeon is located approximately 220km south of ICN. Though closer international airports (i.e. Cheongju) exist, ICN is the most convenient. 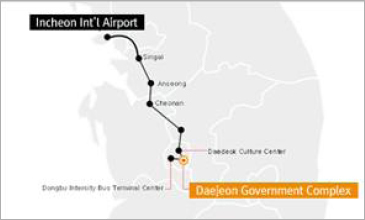 There are four main bus terminals in Daejeon, two of which are located in Yuseong, and two satellite terminals near the Daejeon Government Complex. 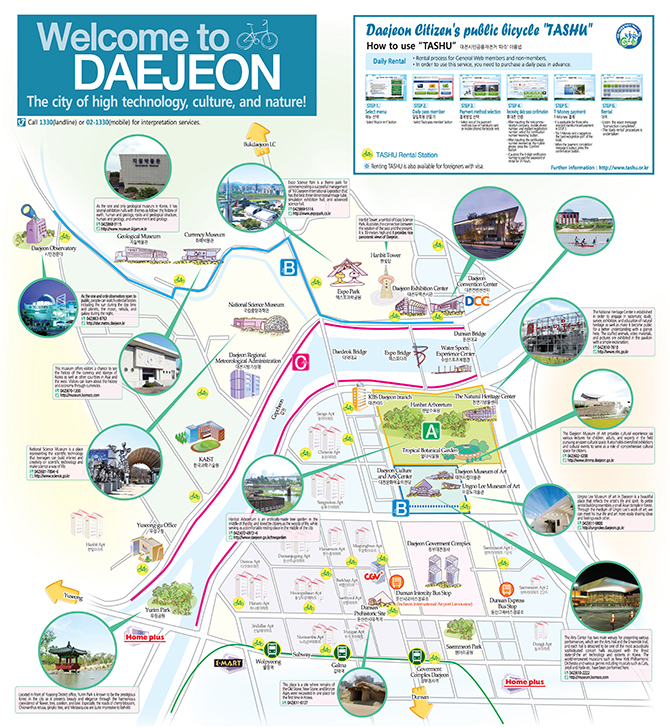 There are two main train stations in Daejeon. 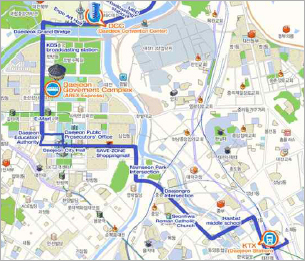 Step 3 : Please get off at the Daejeon Central Government Complex Stop for DCC. 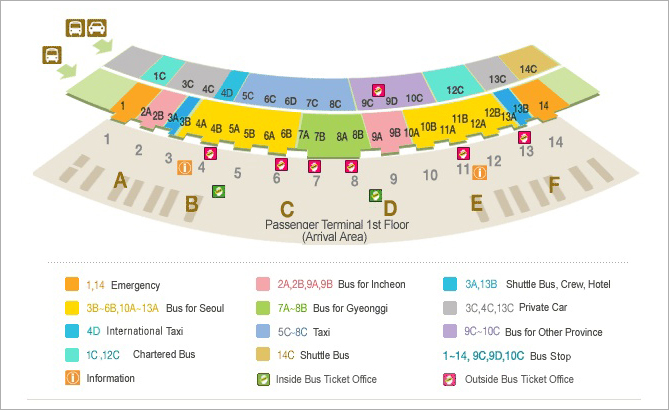 Information is available at the transportation information counter concerning the timetable of limousine bus between the Incheon Int’l Airport and Daejeon, as well as the purchase of the bus ticket. 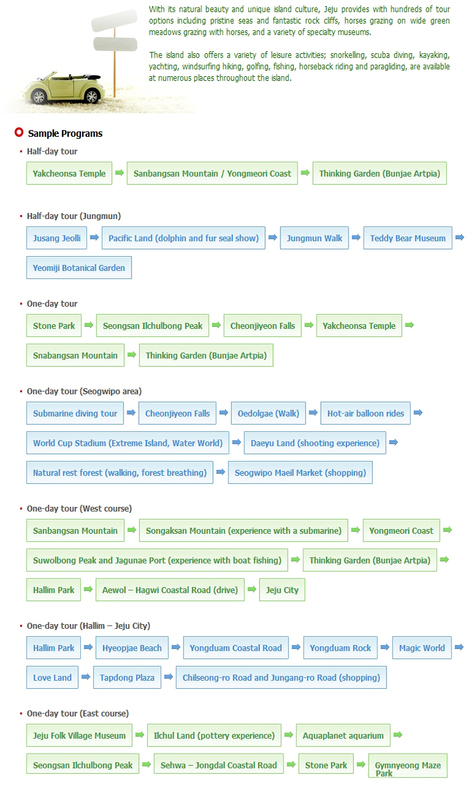 - There are multiple stops in Daejeon. 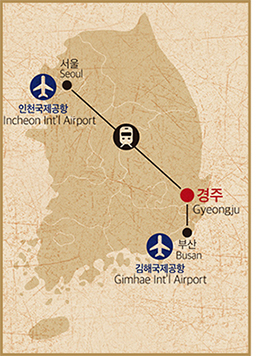 Airport Railroad Express is operating between Incheon International Airport and Seoul station. - Estimated fare: Standard Taxi: KRW 12,000. 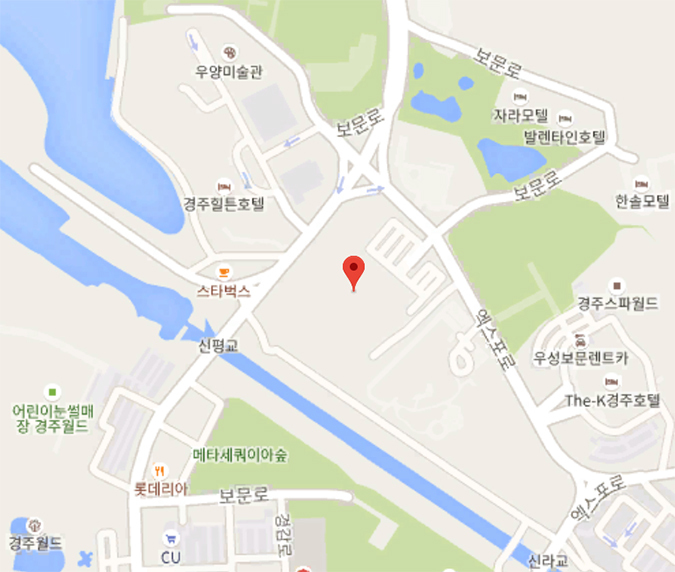 ※ The nearest bus stop to Yuseong is “Daejeon Government Buildings”. 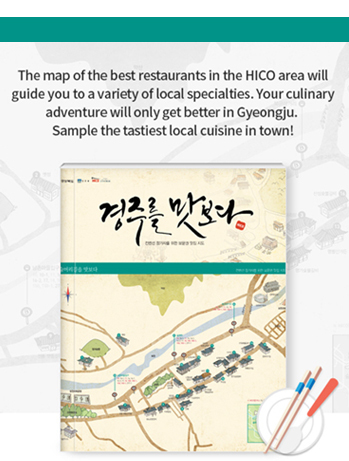 ※ You may take a taxi from the bus stop at Government Complex to the hotels in Yuseong. ·Select the distance (long-distance or short-distance) at the taxi stop. ·When you go to the Center, it is all right to take a taxi at the long-distance stop. ·Advanced reservation is recommended if you plan to rent a car. ·Upon arrival, you can sign up for rental cars at the rent-a-car desk nearby airport exit. ※ The fare for one way ticket is KRW 14,500 or KRW 21,800 according to the limousine class. 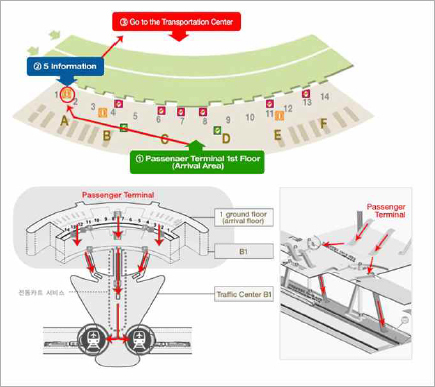 ※ The nearest bus stop to Yuseong is “Government Complex”. 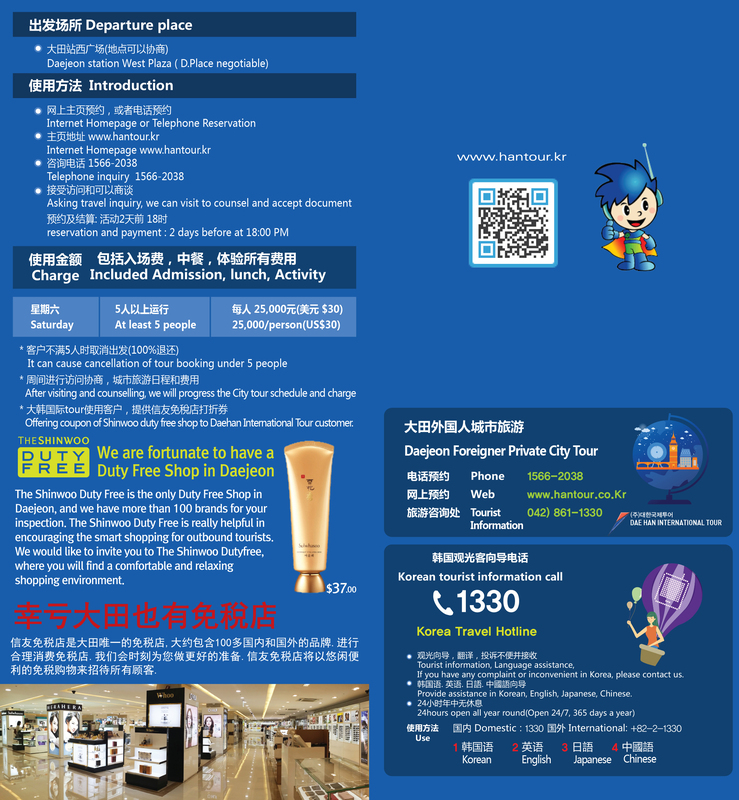 You can book up hotel room via online(see PSK homepage) or phonecall(Hurried reservation is strongly recommended due to other events. Also, discounted rate is only applied to the reservation and can not applied for on-site purchasing.). Note that below rate is only for the conference period(Oct. 5~8). As for phonecall reservation. Please mention the PSK meeting. 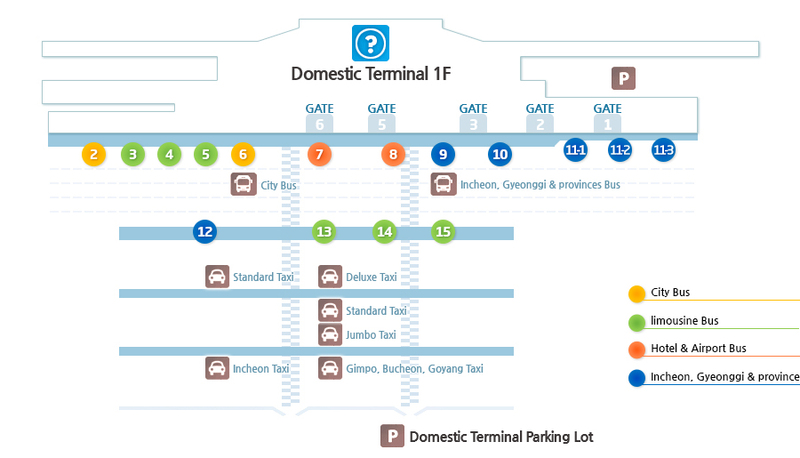 Kimhae(Busan) Airport → CECO (30~40 min.) There are about 5 flights per day. 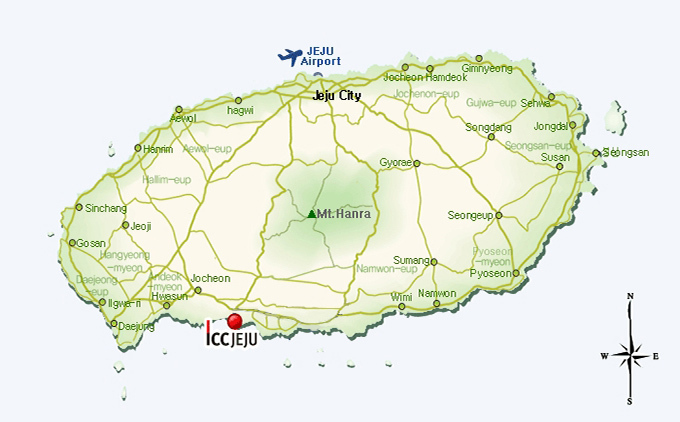 Kimhae(Busan) Airport → CECO (30~40 min.) There are about 30 flights per day with 30~40 minute intervals. - Schedule above is subject to change. 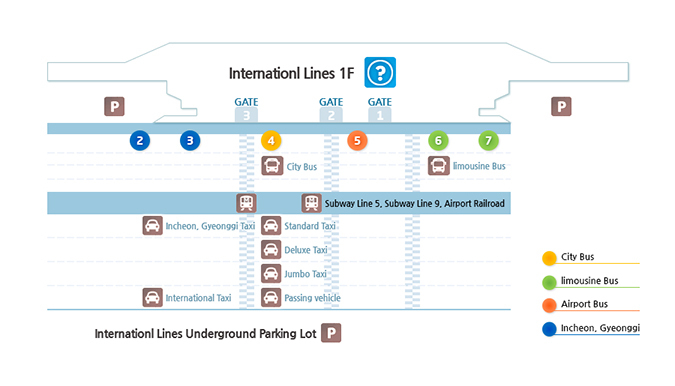 Changwon Bus Terminal stop has more limousines with 20 minute intervals.